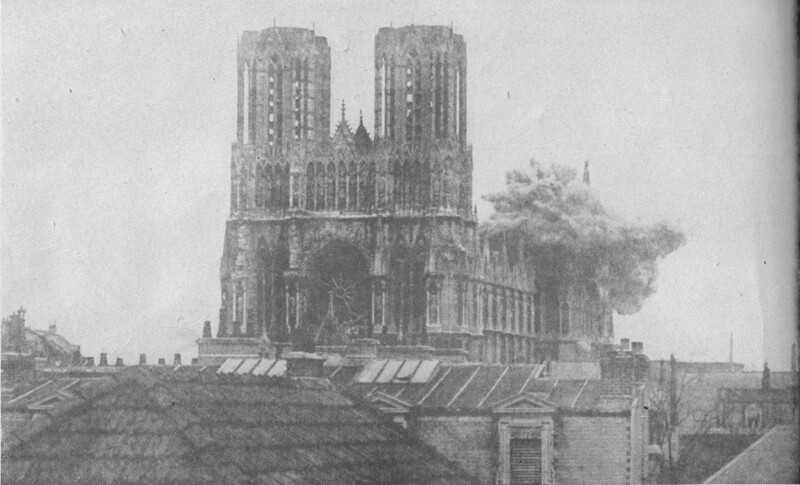 Situated at a strategic point between the East border and Paris, Reims has been in the middle of the first world war and has hardly suffered all along the 5 hears conflict. At the end of the war, after 1 051 days of bombardments, the town had only 60 habitable houses left. 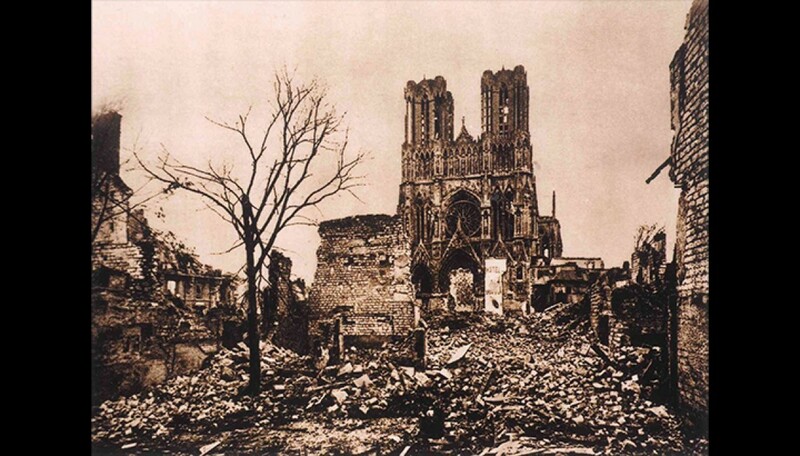 Reims, « ville martyre » then becomes a symbol for the whole France. 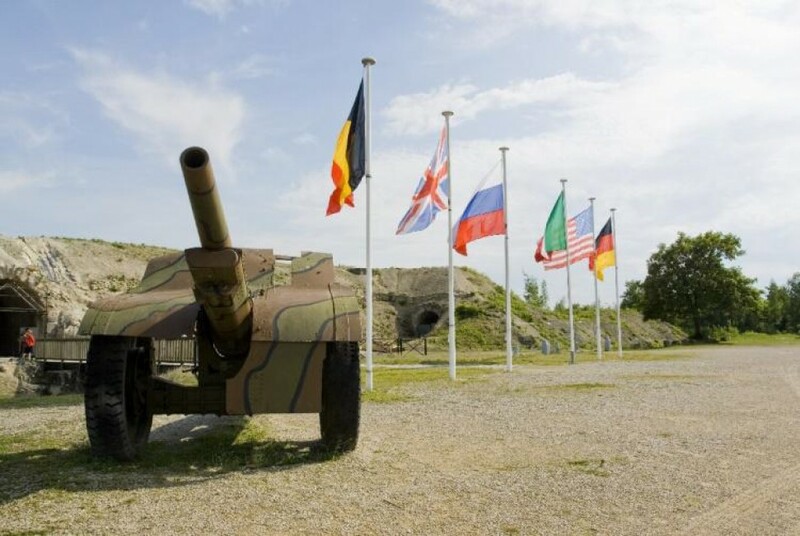 Free visit of the museum settled in a fort «Séré de Rivière», commemorative top-place of the Great War 1914-1918, classified as "Historic Monument". Uniforms, equipment, weapons, paintings, photos and authentic documents. The museum also shows evocations of the allied armies, the Russian Expeditionary force and the quite unique collection of 560 helmets and hairstyles of the German imperial army. 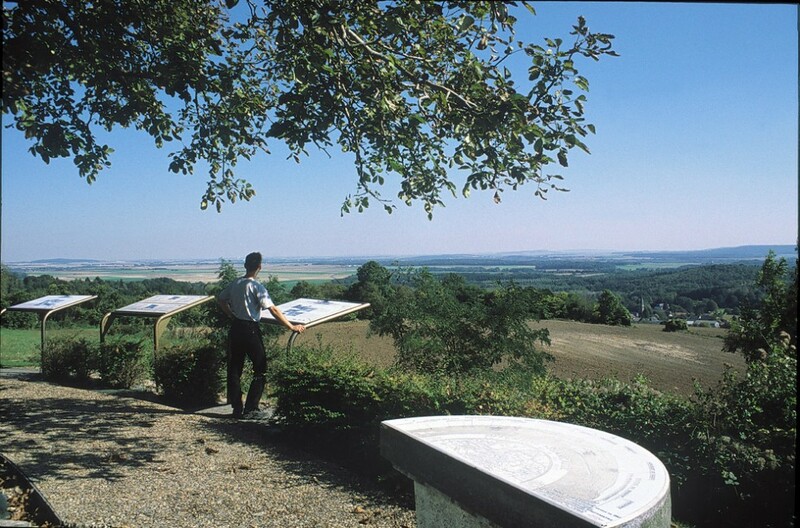 The “Chemin des Dames” plateau is the part of the plateau of “Soissonnais” which is located between the valleys of “Aisne” in the South and the “Ailette” in the North. In its extremity is, this narrow plateau represents a headland which dominates the plain between Laon and Reims. This strategic place was the ground of numerous battles from Jules César to Napoleon, then during the World War I in September-octobre1914 when German fight to keep their position further to the battle of the Marne. In 1917, general Nivelle will know about it an unprecedented failure in spite of the commitment of a million soldiers. On May 27th, 1918 it is on the “Chemin des Dames” that Ludendorff launches a victorious attack which allows the Germans to reach quickly Soissons then Château-Thierry. New fights will take place on the plateau at the beginning of June 1940.